Welcome back to the bitter cold of late November night in final year. I’m going to land you straight in here during “study week” after surviving the brutal battles of week 12. Last week involved handing in two final essays worth 60-70% of modules so, good thing you didn’t see me last week is all I’ll say. But we got there in the end and honestly, for once, I’m happy with how it went down. Meanwhile exams are just around the corner, and if by the corner I mean the weekend, then quite literally. It’s hard to believe that the first semester is complete and my friends and I have nearly come out the other side intact, amazing right? Well, we’ll just complete the final hurdle now – but frankly it’s 4 hurdles as there’s four exams. But I can tell you I’ll be the happiest wanna-be jockey or athlete if I jump these last few without any falls. What I came to realise this month, regarding college life and the big-bad-world, is that really, you’re at it alone. But not at all in a bad way. The thing is, nobody is going to stand up directly for your own beliefs and passions bar you. This is not necessarily the case all the time, of course we have our few trustees on it, but there are times when you’re left to face challenges by yourself, with your game face on. So you need to be ready and willing to go that extra mile for what you believe in and value. It’s all about strength in not allowing the pressure from others penetrate your mind too much. Everyone’s got their stuff, a given – but don’t let yourself be a dumping ground for others. Not a pleasant time or something that represents your worth. Be a safe haven instead, where others come to you to share, to overcome or solve problems, not make the situation worse. Working together for a solution and having a few giggles along the way. I’ve come to see that this year is a different one, for many and maybe for me, there will be no more college after this. We aren’t in the middle of it, even though it might sometimes feel that way: no. In the coming months we will all go our separate ways, and like a sieve, only the important friendship and information grains we’ll keep. Sure, this is a scary thought but it’s also a motivator. Like all or most, I want to do well in my exams. But, I know it’ll be nobody elses’ fault if I don’t. I think that’s the essence of adult life (I say now as a 22 year old of last Sunday). That song about doing it “My way” is really all that it comes down to. I’ve seen my friends (who aren’t my elders I might add) take on the big smoke in the last months and start new jobs in large firms. I’m proud of them, they’ve grabbed the big guns and are holding on but I know their leap of faith can’t have been easy. Following this, some hard-hitting home truths appeared to me over the past month to do with friends, family and health scares. These showed me again how life is truly unpredictable. We really just don’t know how it’s going to go. Now, you can either live in fear of the unknown or embrace this fact and try to move with the flows of life in this way.. you let me know which aspect you enjoy more. While I write this sniffling away in getting over my annual study week cold, I realise I don’t have it too bad. I need to stop building up problems and making my collection of rubbish for the dumping ground a large one. From now on, I’m not going to sweat the small stuff and be more accepting towards the little not-ideal situations that life throws. While always reminding myself that I’ve a decent family around me, friends to call on and treasure and a boyfriend who’s cute as can be (I mean just look at the picture for this blog, oh my!). So going into the final month of 2017, I wish for little change in order for me to accept how things are, and live in the now. Oh yeah and do well in the exams, while we’re wishing for things. Hope you’re feeling spooky on the day that’s in it. Welcome back to the bitter place of Hell that comes in the form of final year at university, brutal I know. Now October was a scary time as the college as monsters decided to come to life as assignments. These fiends were worth a high proportion of the grade and were coming all at once, a little thrilling I must admit. The dreaded and much spoken about week 6 came and went and didn’t take too many victims on its rampage (but it was close, let me tell you). So overall, it’s been a fairly scary time, so much so that Halloween itself was welcomed. Now I know I started things off positively last month and I don’t want to totally lose that, but I will be brutally honest and say, from the front lines – we’re finding it difficult here. I thought for a short while that it was just me, when my not-so-amazing first grade of final year came back with a bang. But I soon found out that I was not alone in this pit of despair (there’s actually a few pals down in this pit, we’re holding things up pretty well). So although it’s been stressful, it didn’t result in total failure and even encouraged some unity- that’s a plus yeah? To change it up, I’ll bring you right back to the end of September, when my fellow students and I arose from the final year pits and attended the March 4 Choice gathering rally in Dublin city centre. An amazing experience, difficult to some up honestly as it was really such a huge thing. It ranged from chants to bants from young people (younger than I) and those a little more mature (much older than I). But it was clear that we were all united collectively for the one cause, something that on the day was tiring yet very rewarding. I’m so happy that we gave up a day to march for those whose days have been destroyed and changed utterly due to our restricting, inhumane and cruel eighth amendment. 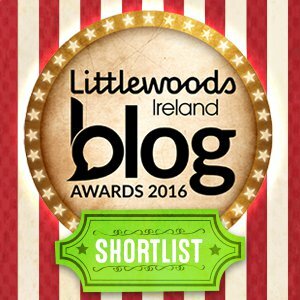 On another more positive note, I got to attend the Irish Blog Awards at the start of the month due to this blog being placed in the final of the Personal Politics and Current Affairs Section. This was pretty incredible to be surrounded by the community – another huge one I’ll admit – of those doing something similar to me right now writing like this actively. I was honoured to see the title of this blog to pop up on screen, and although it wasn’t crowned a winner – I’m delighted for the blogs who did triumph. It really encouraged me again to keep this going further, coming back next year stronger. So I’d like to say that we’ve now really settled into the way of final year with lectures, housemates, friends mostly known well and familiar, assignments, tests and presentations – it’s clear that we are doing things on an individual basis. We’ve faced the wrath of assignments and maybe learned a little bit more about our own capabilities. Things really came into focus when I attended a jobs fair in the college. Seeing the adult world creep closer from all sides, in an all-consuming manner probably should have panicked me. My friends graduating (although delayed slightly by the gal herself Ophelia) should have also but fair enough, it did have affect and made me think of the future ahead. The future is dividing us as students right now. It appears to me that some have their ideas decided upon, settled and excited to run with. They have their eyes and mind focusing forwards only, not exactly seeing what’s going on either side of them. For me personally, that hasn’t happened yet and honestly, I don’t really want it to. Call me crazy here but I’d rather smell the final year flowers than think of the big company I’ll sign my soul over to or masters course I’ll choose from a hat just to have a plan together. I know the unknown is a scary place but for me, tackling the monsters of final year right now – the unknown doesn’t seem so bad in comparison. Last night I had the pleasure of seeing Body Image Movement’s Taryn Brumfitt’s documentary film “Embrace”. I would highly recommend seeing this as a woman, as it brings about the feeling of acceptance of yourself and appreciation of other women. The piece expressed simply joys within celebrating our differences in a completely positive way by hearing personal stories while exposing the harsh realities of plastic surgery, dieting and the role of mass media. The documentary covered continents and we met some very different people along the way, but the one topic of embedded negativity towards body image prevailed. Some exposures were made of the darkness within the modelling world and the film also looked to aging and how this is seen as something to be tackled instead of embraced. A magazine editor and a fashion photographer were also met with, who exposed the harsh truths of the unbelievable power of photo-shop as well as the often cruel world of designers as well as the misleading terms used in fashion, such as “plus sized” describing a UK size 12 woman, who fit in with average sized weight and height guidelines set. It’s a crazy different world that we’re exposed to and shown as normal every single day. The picture perfect model was often described as an “alien” due to the fact that with the work of photo-shop, this woman actually did not exist in terms of looking how she does in the magazine. Every issue that came up from the women who told their stories, (who are incredible in their own right, I might add simply as modern women) – was rooted in beauty standards we see as normal and set in our world. Depression, self-harm and even a near suicide arose as difficulties faced when these women felt they didn’t fit the mould for what a woman should look like and in turn, be – with such a high value placed on appearance in our social norms. We are sold an idea through the mass media of how we should look like, what’s in trend this season and what new fad diet can “change your life” in order to make things better. Taryn showed how indeed, even when you’ve reached the “perfect body”, (the bikini body example we are all too familiar with) that there’s absolutely no guarantee that this will result in happiness. It all comes back to positive versus negative thinking around our bodies and which outweighs the other. These fad diets promote negative thinking towards body image and can develop into obsession that is in no way healthy. I think in the way that these diet plans work and hook a person, we are taught the idea that the body you have is something bad that needs correcting or to be fixed and worked on. But that simply isn’t the case. Naturally, your body goes through changes throughout your life. The documentary also went about looking into our war we have with aging and this embedded fear that the beauty companies are cashing in on. It made me realise that whatever stage you’re at in life, your body is going to be with you regardless, so really – you don’t want to put yourself against it. Bring it back to asking simply, why would you want to do that? As a woman, you can undergo pregnancy and your weight can and will fluctuate, how does it make logical sense to hate your body for doing what it does and should do naturally? For creating your family and providing your baby with the nourishment he/she needs and craves. Now, going on a health kick for yourself from time to time is something good in order to feel refreshed and energised, resulting in proven health benefits but really the idea of punishment – this has no place in your workout routine. It’s okay to treat yourself and it’s okay to work hard on you, it’s not okay to feel bad about either of these. We need to change our mentality around weight and weight loss. The celebrity diets and the scandalous headlines about losses or gains cannot continue to influence us. It lacks dignity and respect for the minds and souls of women as individuals. So I suggest approaching the magazines with caution, be aware on social media for negative body imaging or messages and allow this natural and positive change into your life. Your body will stick with you no matter what, as a friend rather than a foe. If you wish to find out more about the Body Image Movement, check out the website here: https://bodyimagemovement.com/.